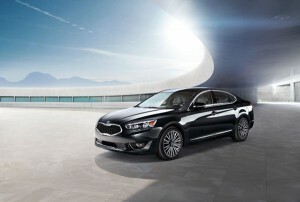 The 2014 Kia Cadenza embodies Kia’s global presence. Kia Motor Corporation has announced that its global sales figures for the first ten months of 2013 are up 1.6 percent over those of 2012. Kia’s global presence has grown exponentially over the years, and this year has been no exception; 2013 has seen a cumulative total of 2,299,299 units sold worldwide, reaffirming the Korean automaker’s position as one of the largest brands in the market. Kia’s European sales were up by 4.1 percent in the month of October with 51,203 units sold. Additionally, China showed a great deal of improvement for the month with a 1.3 percent sales increase (48,116 units). Cumulative gains in the first ten months of 2013 are up considerably for both markets: Europe’s 497,119 units overall is good for a 3.1 year-to-date increase, and China has grown a staggering 16.6 percent with 470,651 units moved. Best-selling models overseas in October were the Rio, otherwise known as the “K2” in China, which sold 38,174 units. The Kia Sportage followed close behind with 34,353 sold, and the Cerato—otherwise known as the Forte—sold an impressive 29,431 models. With news that Korea’s premier automaker plans to launch its first EV in America next year, Kia’s global presence looks to only continue to grow in the future. Brought to you by Airport Kia of Naples.